Oftentimes you can hear a phrase like: “I want an upper body like gymnasts have”. Well, it’s no surprise, especially if you look at someone like Yuri Van Gelder (see the video below). Gymnasts have upper body strength and musculature as well as bodyweight control that have no match. So how to develop such body? Coach Christopher Sommer tries to answer this question with his book. 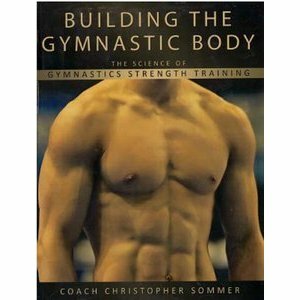 This entry was posted in Bodyweight Training, Reviews and tagged building the gymnastic body, christopher sommer, gymnastic skills, gymnastic strength training, gymnastics, review on 17/07/2012 by Alex Zinchenko. This entry was posted in Bodyweight Training, Reviews and tagged alex zinchenko, bodyweight training, build muscle, convict conditioning, gain strength, get ripped, paul wade, pyotr kryloff, review, rough strength, roughstrength, strength training, training book on 12/06/2011 by Alex Zinchenko.